Eveil eye is very bad, it has a power to break the stone, Due to jealousy people don't like that anyone gets success. so if anyone see that people are getting jealous so he should read this dua. 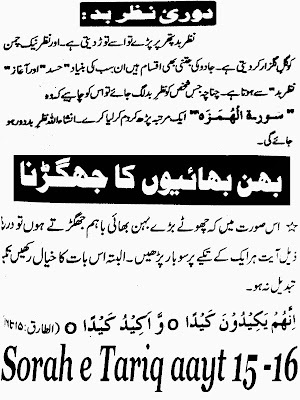 1- Read Surah-e- Hamza 1 time and blow on yourself ( whole body). 2- Read Char Qul ( Sorah-e-Naas, Sorah-e-Falaq, Sorah-e-Ahad, Sorah-e-Qafeeroon) along with Ayat ul Kursi and blow on your whole body or do dam on water and drink. Now a days family fight are seen everywhere, mostly sibling fight with each other and this kind of fight creates a tension in the atmosphere of house. If a family has sister and brother quarrels, or Mother in lawn and daughter in law quarrels then please follow this wird to get a calm and peaceful atmosphere. Read on the pillow of every person who fight. 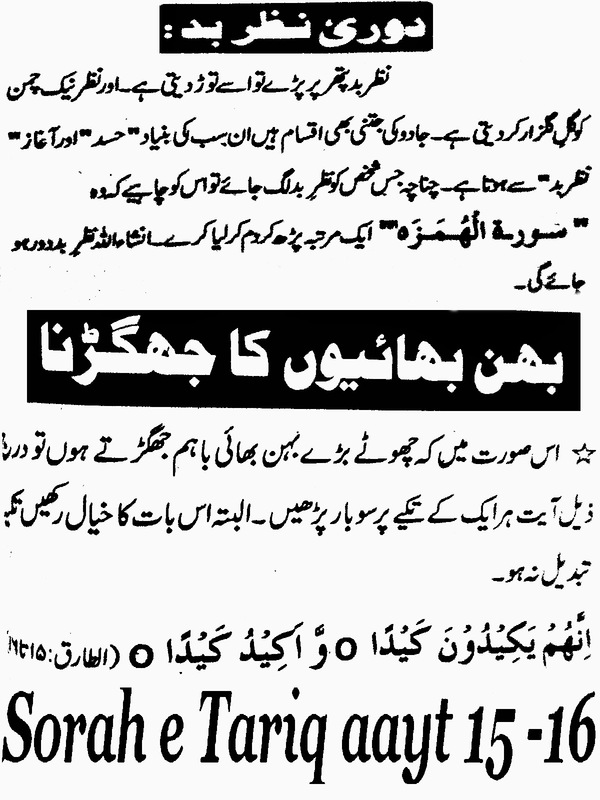 Ayat no 15/16 of Sorah-e-Tariq.